Ahh, sisterly love. It truly is an everlasting bond! Your parents did not just give you a sibling but also a built-in best friend. Now I personally don’t have any sisters, but I have best friends that are the equivalent for me. We fight and love like sisters. They are my everything. It is only right that you give your blood best friend (not meant to sound creepy) a sister gift every now and then! You want to show them how special they are to you. So here are 11 absolutely perfect sister gift ideas she will love! Some are even gifts for you because you can do them together. Yeah, I know seems pretty 90s right? But it really is such a cute idea. My best friend (sister) and I have a necklace that says “Ride or Die, ” and we both still wear it. It is even more special since I moved halfway across the world and knowing that we both still wear them. This is a perfect way to share a special sister gift no matter where life takes you two. You can find this necklace on Etsy for $14.99. You can even make your necklace say something else entirely! Also, the 90s was a very good time so why not still accessorize like it! Take a trip together somewhere! There is nothing better, or longer lasting, than creating memories together. You can use Airfarewatchdog or Travelation to help you find the cheapest flights, hotels and more. Or if you want to go all out, Endless Vacation Rentals will book the trip for you. All you have to do pick a location, dates, and budget and they do the rest! There is no better sister gift than being able to add on to your makeup collection. It is just like nail polish or shoes; you can never have too much of it. So why not add to your sister’s collection! E.L.F Cosmetics has such a beautiful selection of makeup. OOOO like their gorgeous Rose Gold Eyeshadow Palette for just $10. You will have your sister looking flawless. Plus, they ship worldwide for free! Once again you have a gift that just keeps on giving! Now if your sister loves to read, I have just the gift for you. Book of the Month is one of the best book subscriptions ever created. They will send you five different titles to choose from, along with the pickers suggestions. From that list, you choose three titles that stood out to you, and they send them on! It’s perfect. No longer do you have to fret over what book you should read or what is out there. BOTM has professional book pickers ready to cater to your literary wishes. So sign your sister up for a subscription and yourself! Your first books would only be $9.99. You and your sister could have wine nights and discuss the latest book. A family that drinks and reads together stays together. Speaking of wine nights, why not buy your sister a wine subscription! Just like the books, you can order a case of your favorite selected wines from Direct Wines. The wine connoisseurs will customize your selections and send 12 bottles every three months right to your sisters’ doorstep for just $69.99. Sounds like heaven, right? But wait there’s more! They even include tasting notes and serving advice for every bottle. Direct Wines has even taken the ultimate oath that if any bottle fails to delight you, you are guaranteed a full refund. Just go ahead and become the best sister ever and sign up for a subscription. There’s nothing better than a little sibling rivalry. I find that nothing gets my blood going more than wanting to beat my sister. Why not make it a healthy competition? Get your sister a Fitbit and you can weekly, or daily, challenges to see who more active during the day. Fitbit will show both of you each other’s progression as the day goes along and announce the winner the next day. Fitbit’s start at just $59.95. So honestly just go ahead and buy her one so you can show her who is boss. How cool of a sister gift would that be to have your future told?! Well, Keen does just that. They have a plethora of qualified psychics that will tell your future in your career, relationships, and so much more. You can either talk to them on the phone or through instant chat. You can pay per conversation or top up the account to last. Plus they are running a special offer that the first 3 minutes are free! This is definitely a funky kind of gift that can have a bigger turnout than just purchasing an item. It could be thanks to you that your sister realizes she should go after that promotion or start dating again. This is such fun and cute gift to give. You can customize M&Ms to say anything, or any image, on them and send to your sister. You could have little pick me ups on each one or even a picture of the two of you. Pick the color, text, image, anything! The sky’s the limit on what you can do with the M&Ms. So in a way you are giving your sister two gifts: a cute message or picture, and chocolate! There really is no better gift. Go start designing at My M&Ms! You can honestly never go wrong with art. AllPosters and Society6 have some pretty amazing artwork that will blow your sisters’ mind like this print for $20. You can have it as a print, canvas, mug, hell even on a pillow. Society6 even offers you the option of turning it into a phone case. Now if you don’t see anything you like, AllPosters will let you upload your own photo and have it printed in whichever format you desire. So send your sister a pillow with you face on it or a canvas of the two of you. Treat your sister to the movies! There is always something out to see, and you could make a whole day of it. There is no better gift than just being in the moment and being with each other. Thankfully Fandango allows you to buy your tickets in advance and have the tickets electronically so you can skip the lines and head straight to the show! Last but not least, you can give the sister gift of relaxation. We all have crazy lives, so there is nothing better than a little wind-down time. Be a hero and give your sister the gift of re-centering and ultimate calm. 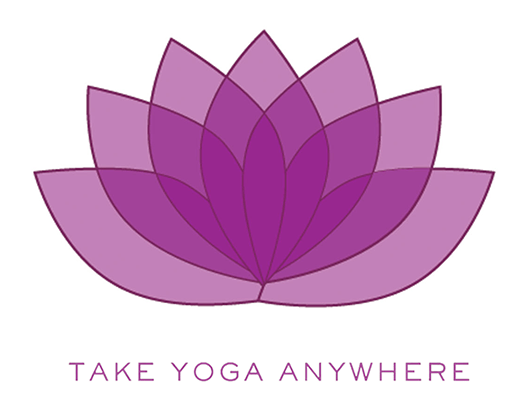 Yoga Download gives you the option of doing yoga whenever is most convenient for you. It is a website full of instructor-led courses that range from beginner, experienced beginner, intermediate, and advanced-intermediate. You could buy your sister a month subscription for $18 or a year for $120. You can even do a two week trial for just a $1! This is the perfect gift. Namaste. So show your sister some love and get her one of these bomb gifts (or all of them)! You will go down in history as the greatest sister ever. What amazing gift have you gotten your sister? Share below in the comment section!